Losing his only son is one of his worst nightmares as a father, says Vijayan Raman. His 24-year-old son, Vishal Ra­man, was killed in a road accident on Sunday. With tears, Mr Raman described his son as a humble young man who had respect for other people. 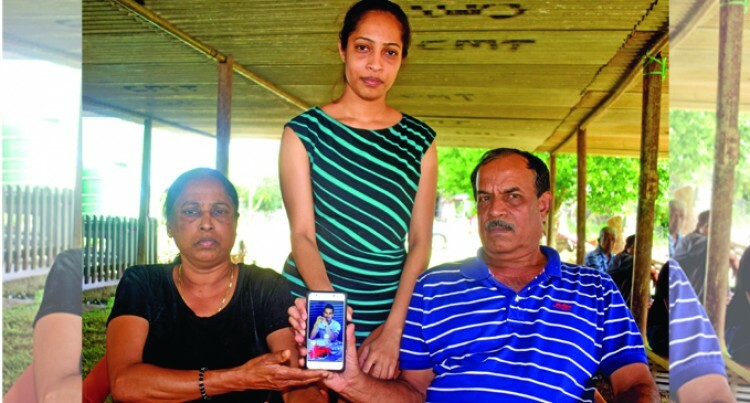 “This is the worst thing ever to happen to a parent,” Mr Raman said. “We were alerted by a relative that he was involved in a road ac­cident thinking that he sustained minor injuries. Mr Raman said his son was well known in their community for his participation in local football clubs. “I have three children, two daugh­ters and a son who is the youngest. The whole family is still in shock over the tragic loss of our only son,” he said. Mr Raman’s daughter Arishma Raman said they were saddened by the loss of their only brother. Police spokesperson Ana Naisoro said the victim was travelling with the three people when the vehicle lost control causing it veer off the road and tumble down a cliff in Nakabuta, Sigatoka. She also alleged that the driver of the vehicle was under the influ­ence of liquor at the time of the in­cident and was later arrested after he fled the scene. Ms Naisoro said two men and a woman involved in the accident were admitted at Sigatoka Hos­pital while the driver is in Police custody. The road death toll now stands at 50 compared to 46 for the same pe­riod last year.